SEOUL – Oil prices edged up on Tuesday on hopes of more economic stimulus in China after disappointing data from the world’s No.2 economy. Front month U.S. crude climbed 24 cents to $58.38 a barrel by 0320 GMT, after ending the previous session down 99 cents. Brent for June delivery rose 19 cents to $62.88 a barrel, having settled down 62 cents in the previous session. China’s consumer inflation weakened more than market expectations, to 1.2 percent year-on-year in May, raising concerns about growing deflationary pressures as the economy cools. Its producer prices fell for the 38th straight month. “The weak data continues to point out the sluggish demand in the real economy. The government should roll out more easing measures to lower the real financing costs to boost growth,” said Yu Yafang, macro strategist at Huachuang Securities in Beijing. Chinese oil imports fell about 11 percent in May from a year ago in the steepest drop since November 2013. “The weak import numbers were a result of a significant increase in refinery maintenance in May…At the same time, the strong level of imports in recent months has put pressure on storage facilities at ports in China,” Australia and New Zealand Banking Group Ltd (ANZ) said in a research note on Tuesday. Investors have also been concentrating on supply, with OPEC on Friday agreeing to continue unconstrained output. “Focus has now turned to Iran and Iraq, where both countries are expecting to raise exports in the short term,” ANZ said in another note. Iraqi forces backed by U.S.-led coalition air strikes have opened supply lines into Baiji town and its nearby oil refinery, making progress at last against Islamic State rebels in a seesaw battle that has gone on for months, the Pentagon said on Monday. 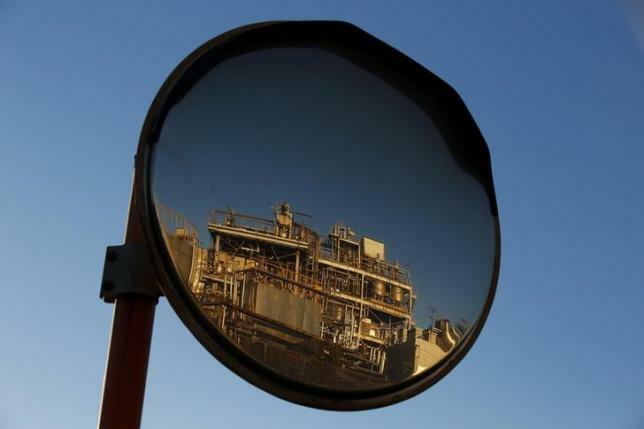 An official in Iran – OPEC’s fifth-largest crude producer – said on Monday that eight western European companies are keen to invest in Iran’s $2.8 billion Siraf oil refinery project, as the country ramps up capacity to reduce is dependence on imports. Oil production declines from the largest U.S. shale plays are forecast to deepen for the third consecutive month in July even as rig productivity remains high, data from the U.S. Energy Information Administration showed on Monday.